Shortening is considered as a vital baking ingredient, thanks to which the global market is expected to exhibit a healthy growth in the next few years. The easy availability of shortenings and the increasing popularity of a wide range of baking products are anticipated to fuel the growth of the global shortenings market in the coming years. With these factors, the global market is likely to witness healthy growth and register a progressive growth rate in the near future. The key players in the global shortenings market are projected to face several challenges in the near future. The rising demand for clean label products and the increasing use of shortenings substitutes are anticipated to restrict the growth of the overall market throughout the forecast period. Nonetheless, the growing demand for low-calorie products from consumers worldwide is estimated to offer promising opportunities for players in the next few years. Moreover, the expansion of the application base of baking ingredients is expected to augment global shortenings market in the near future. A tremendous rise in the demand for shortenings in bakery products, owing to the rising popularity of baked food products is one of the important factors expected to augment the growth of the global shortenings market in the next few years. In addition, the changing lifestyle of consumers and their rising disposable income are estimated to accelerate the growth of the overall market in the forecast period. On the contrary, the rising health concerns associated with the excessive consumption of oils and fats are anticipated to restrict the growth of the global shortenings market in the coming years. In addition, the increasing health consciousness among consumers is predicted to hamper the development of the market in the near future. In the last few years, Asia Pacific led the global shortenings market with a key share on the basis of volume as well as value. The increasing contribution from China, Indonesia, India, and Malaysia is estimated to supplement the growth of the market in the forecast period. In addition, the rising purchasing power of consumers and the increasing population are some of the other factors predicted to encourage the growth of the market. As per the research study, Asia Pacific is expected to witness healthy growth and remain in the prominent position over the forecast period. Furthermore, the improving lifestyle of consumers in several developing nations and the increasing rate of consumption of bakery products are projected to accelerate the growth of the Asia Pacific shortenings market in the forecast period. The North America and Europe market for shortenings are estimated to register moderate growth rates in the forecast period. The global shortenings market is highly competitive and fragmented in nature, with the presence of a large number of players. Some of the leading players operating in the shortenings market across the globe are AAK AB, Bunge Limited, Conagra Brands, Associated British Foods PLC (ABF), Cargill, Archer Daniels Midland Company, International Foodstuff Company Holdings Limited, Wilmar International Limited, Ventura Foods, LLC, and Manildra Group. 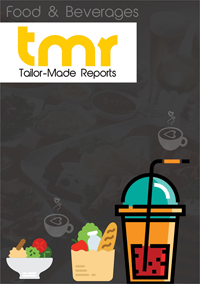 The development of the food and beverages industries across the globe is one of the key factors encouraging the development of the shortenings market in the next few years. The key players in the market are focusing on marketing activities and tactics in order to enhance their presence and reach a large volume of consumers across the globe. In addition, the expansion of the product portfolio is likely to benefit the leading players in the near future.